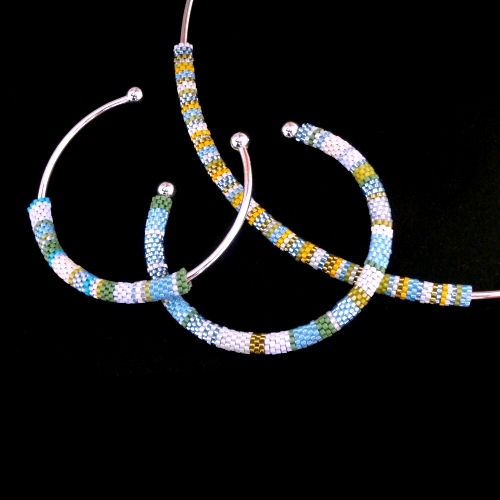 Learn how to bead brick stitch and use pieces of it to create interchangeable pieces of beadwork idea for threading onto neck & bangle wires. This 7-page tutorial contains full instructions and tips as well as check lists for tools, materials and techniques needed to help you shop and plan. Appearing under the name 'Summery Seaside Stripes' this project was published in the August 2011 issue of Making Jewellery Magazine.